Digital currencies are not a new concept. Digital currencies like e-gold or DigiCash have been tried in the past, but we all know that they haven’t been successful so far. With the advent of blockchain and rise of cryptocurrencies, the topic of digital currencies is again being discussed around the world, but there is something unusual this time. Unusual because for the first time sovereign governments and central banks have started talking about digital currencies, notably the Bank for International Settlements (BIS) and the International Monetary Fund (IMF). And they are more specifically talking about CBDC, i.e., Central Bank Digital Currencies, so let’s see what it is and how it can impact you & me? 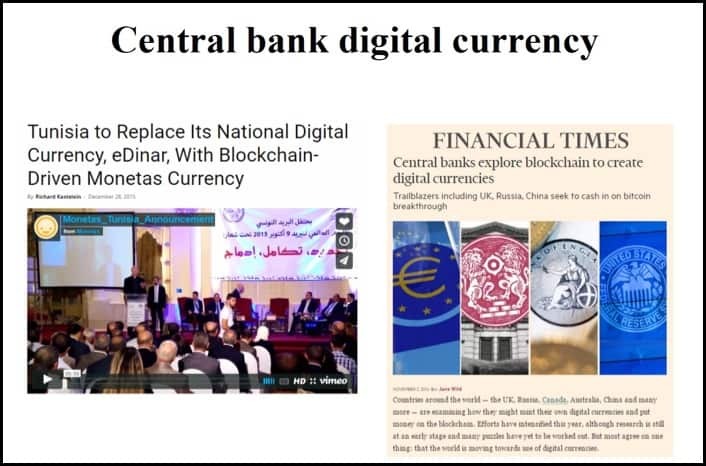 Central Bank Digital Currency (aka CBDC) as its name suggests is the digital currency issued by central banks of the world. And of course, you cannot expect CBDC to be more than just the digital version of fiat currency issued and established by the governments around the world. For example, USD is the fiat money issued by the US central bank i.e., Federal Reserve or like the INR issued by the central bank of India, i.e., Reserve Bank Of India. So, if you can visualize a digital version of USD or INR issued in the respective countries over a private blockchain then you will be able to understand CBDCs. CBDCs are also known as digital fiat currencies and are unlike the public cryptocurrencies (Bitcoin or Litecoin). That’s why CBDCs are just an ‘old thing’ in a new wrapper. The concept of CBDCs had largely remained theoretical so far, but with the advent of DLT (distributed ledger technology or Blockchain), its feasibility is becoming more and more evident with each passing day. You can also consider CBDCs as national cryptocurrencies issued and regulated by the respective central banks just like you have the current fiat currency or cash system. I know some of you, especially the residents of China or Sweden, would argue that they already are using digital forms of their fiat currencies !! Japan: Japan one of the first few countries to make Bitcoin as a legal mode of payment is quite unsupportive of CBDCs, and it looks to BoJ that CBDCs are not needed now and can also have a negative impact on their existing system. HongKong: Committee on Payments and Market Infrastructures (CPMI) — an agency comprised of members from the People’s Bank of China (PBoC) and the Hong Kong Monetary Authority (HKMA) concluded that CBDCs are clearly not superior to existing infrastructure hence there is no question about its implementation in the near future. Switzerland: Previously Swiss officials showed interest in state-backed digital currency or CBDC, i.e., e-franc but later in 2018 board director of the Swiss National Bank (SNB), Thomas Moser brushed off the idea of e-franc stating that it is not innovative enough solution. Venezuela: The distressed South American country-Venezuela already has a national cryptocurrency called Petro it is not a CBDC because Bolivars are still being used. Petro is an oil-backed cryptocurrency launched by Venezuela’s president Maduro in February 2018 to bypass US sanctions. China: For those of you who don’t know, no one uses cash in China. All transactions happen digitally and Chinese central bank has accepted that the future move towards digital fiat currencies is inevitable and looks like blockchain tech play a role in that for PBoC because they have been hiring digital currency specialists for PBoC. India: India with its Reserve Bank or Central Bank is, of course, exploring the option of having a CBDC but their approach is quite different. India is looking at CBDCs a way to mitigate fiat currency printing cost which is absurdly high for a vast country like India and with CBDCs they seek to reduce that. #1. Money issuing authority in a country could save a lot of seigniorage income by issuing CBDCs because ultimately issuing something digitally is a lot cheaper. #2. The overall efficiency of the domestic payment system will improve as many parts of it could be automated thus reducing the friction. #3. CBDCs can also help in deeper penetration of financial inclusion as cost saved in seigniorage could be used to provide banking at low cost to the marginalized ones. #4. Various design padigrams can be included in forming a CBDC such as full anonymity or partial anonymity as per the nature of transaction happening. Thus preventing money laundering and stringent adherence to KYC/AML laws. #5. 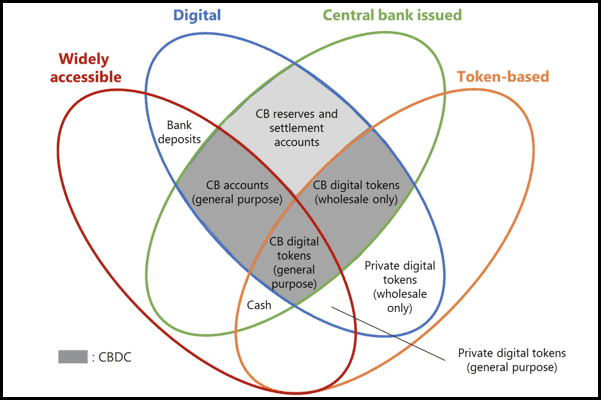 Interest-bearing, as with other forms of digital central bank liabilities, it is technically feasible to pay interest (positive or negative) on both token- and account-based CBDCs. The interest rate on CBDC can be set equal to an existing policy rate or be set at a different level to either encourage or discourage demand for CBDC. #6. Lastly, CBDCs can be designed to extend the operational availability of banking (ranging from current opening hours to 24 hours a day and seven days a week). However, it still remains unclear as for where the whole ecosystem of CBDCs will go in next year so. But one thing is sure that you will start looking CBDCs in your respective countries sooner than later. That’s because Bitcoin like cryptocurrencies is challenging the status-quo of fractional reserve banking and banks have to come with something like CBDC to prevent that. So that’s all from our side in the article on central banking digital currencies and we hope you liked it !! Do share this article with your network on Twitter or Facebook and give us a follow @TheMoneyMongers to get more exclusive content like this ! !